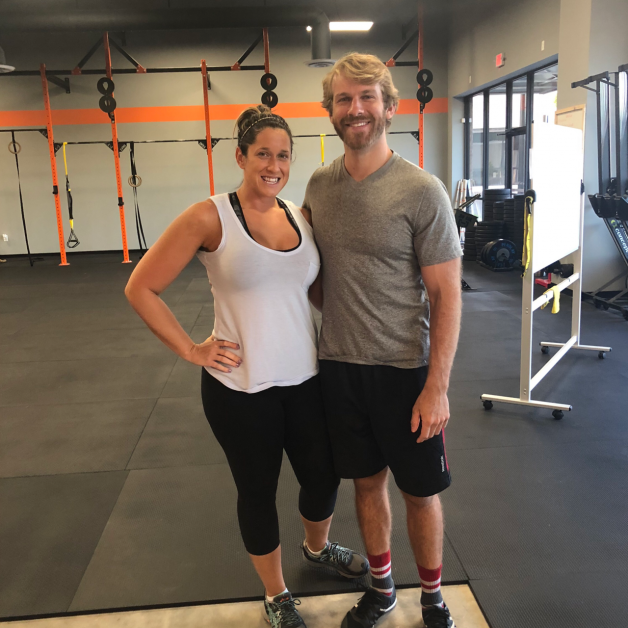 Stefaney is our very first Member of the Month at our new location in Braselton. Forge is so thrilled to have her apart of our tribe! 2. What hobbies do you have outside of the gym? 3. How has fitness affected your life? Incorporating fitness into my life has greatly increased my self esteem, made me mentally and physically stronger, and has allowed me to set an example to my children about making health a priority. 4. What is your favorite and least favorite exercise? 5. What is the hardest challenge you have had inside the gym? Learning to pace myself, and listening to my body. 6. What accomplishment inside Forge-Rx are you most proud of? 7.. Tell us one thing about you people probably don’t know? I am actually shy . True story ! 8. What is the biggest goal you have accomplished since joining Forge-Rx? 9. What do you like best about our classes? How form and proper technique is made a priority in each and every class. I also like the family atmosphere the gym provides. 10. What do you like best about our coaches? 11. If you could have dinner with one dead or alive celebrity who would it be and why? 12. What food should not be in your pantry? 14. Describe your perfect night? the overall ambiance of the gym and how involved the gym is with the community. I really want to concentrate on getting stronger, and reaching some new PR’s. I am excited to see the Braselton gym grow and flourish. Thank you for being our October Member of the Month Stefaney!